Once a truly interested prospect has visited a company’s website, it is vital to stay in contact with them. After all of the time and effort has been spent to bring interested clients to a company website, it would be an exercise in futility if there was no way to stay connected or to keep in contact with those qualified prospects. One of the best ways to keep in contact with those visitors is still through email. To help companies stay in touch with those key prospects, Dynamic Search has added an Email Marketing Module to their 12 Module Marketing Program. Once SEO efforts have borne fruit and a truly interested prospect has visited a company’s website, it is vital to stay in contact with them. Since they have already shown interest in the products or services, getting an email address from them to stay in touch is vital. Many websites will offer something in return for the email address, maybe a newsletter or a white paper. Regardless of how it is obtained, once that person has agreed to be put in the company database, periodic emails of interest to them will ensure that the company stays in the forefront of their mind. 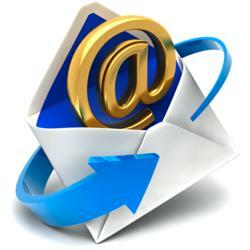 The Email Marketing Module by Dynamic Search helps clients to stay in touch with this prequalified list of prospects. Working from the company’s existing database of potential customers, autoresponders are set up to reach out to them on a periodic basis. This happens automatically, with no effort on the company’s behalf. HTML templates are created, the campaigns are started and the program will begin collecting leads for the sales department. Personalized templates are designed to effectively transmit the company’s message. Autoresponders are set up to automatically collect data and then reach out to potential clients on the company’s behalf. Campaigns are set up, managed and optimized. Delivery rate is optimized, to avoid over exposure being perceived as spam, or, conversely, underexposure that allows interest to fade. Unlimited email messages are included. Regardless of the scale of the company’s efforts, Dynamic Search’s Email Module can handle the task.